European Union (EU) members would have to set goals to reduce the amount of lightweight, one-use plastic bags in circulation under new draft rules agreed upon by member countries. The rules would require that EU countries do one of two things: institute policies that would reduce bag use from the current level of nearly 200 per person annually to 90 by 2019 and 40 by 2025 or require that they not be given out free plastic bags after 2018. The rules would apply to bags thinner than 50 microns, which comprise about 90 percent of the plastic bags used used in Europe and the ones mostly likely to become litter or waste. The group favors charging for plastic bags instead, something the UK already has on the table, although its Tory representatives to the European Parliament oppose the new EU rules. 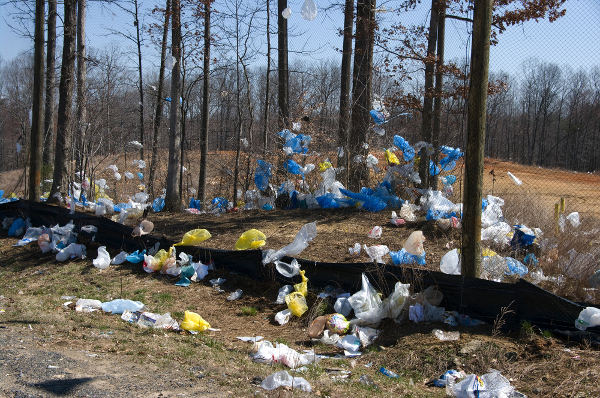 In September, California became the first U.S. state to pass a law banning one-use plastic bags although many cities and counties have already taken action.